A toddler was injured at the Buzzards Bay Park splash pad. A toddler was hospitalized Tuesday afternoon after being injured at a splash pad in Bourne, Massachusetts. 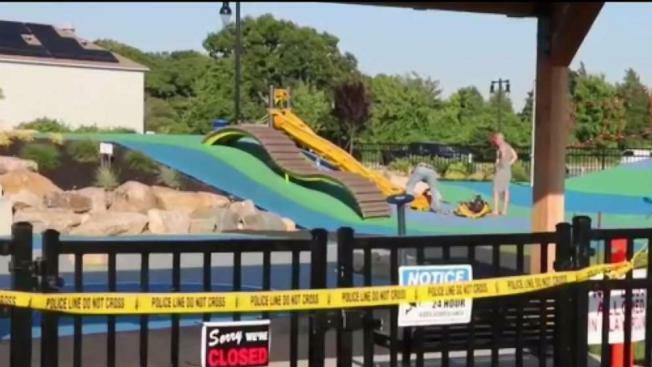 Police confirmed the child was taken to a Rhode Island hospital for treatment of serious injuries after the incident at the Buzzards Bay Park splash pad. The splash pad has been closed while town officials assess what happened. "We, right now, are most concerned about the well-being of the child injured," Bourne Town Administrator Thomas Guerino said in a statement.